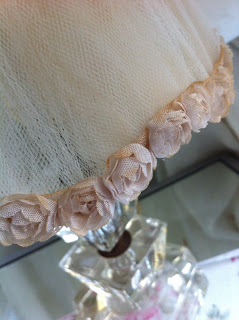 Linen-chic: The Prettiest Vintage Lamp Shade Ever! I just LOVE this pretty little lamp shade!......................Fit for a princess. 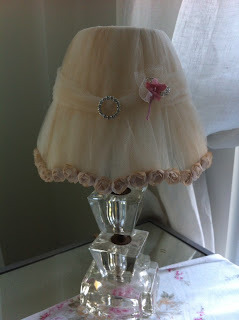 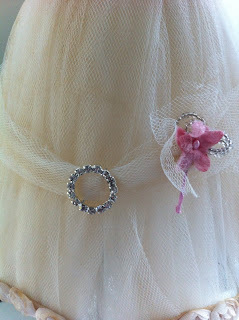 I`m totally addicted to tulle right now..................I created this from a vintage wired lamp shade frame using aged tulle. 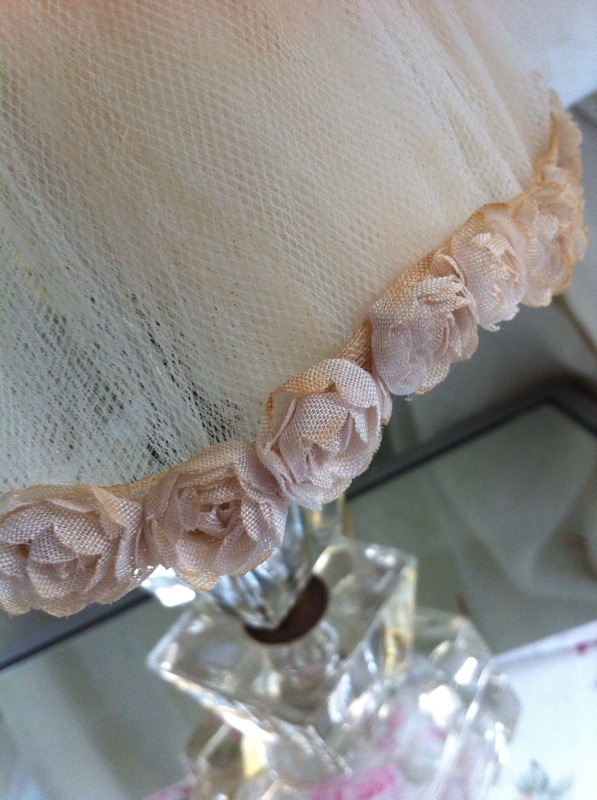 I tea stained some of my organza roses trim to run along the bottom....just perfect.